The General Assembly will be held on March 20, 2019 at the Company Headquarters. Tüpraş has been entitled by Europe’s most important research and innovation program as the Turkish industrial corporation to receive the highest incentive with its R&D project named BAMBOO. Within the scope of our Single Tüpraş philopshy, our transportation between refineries which we have started with the railroads in the year 2006 for a more productive operation of our refineries increasingly continues. The investments, developments and innovations (ECM, DTI, EYS and Körfez Transportation Inc.) which Tüpraş has actualised within the scope of railroad, are turning into new opportunities with the new construction of Turkish Railroads in accordance with their lookalikes in Europe. Directorate of Sales and Marketing, Department of Pricing and Customer Relations is going on to update all our business processes to improve our customer-oriented sales approach with the sense of offering high-quality products and services in our sector with fast changing dynamics. The İzmit Refinery started production in 1961, with a 1 million tons/year capacity of crude oil processing. As a result of significant capacity augmentation and investments over the years, its design capacity reached 11.5 million tons/year. Following modernization efforts to increase white product productivity, the crude oil processing design capacity was registered at 11.0 million tons/year. 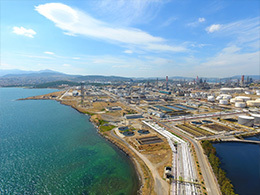 The İzmir Refinery started production in 1972 to meet Turkey’s growing petroleum product demand with a 3 million tons/year crude oil processing capacity. It has since undergone major capacity augmentation and unit modernization to achieve a capacity of 10 million tons/year since 1987. In 2007, its crude oil processing capacity was confirmed to be 11 million tons/year, taking into account revisions made in its distillation capacity. 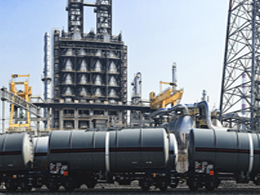 Established in 1986 to meet the petroleum demands of the Ankara, Central Anatolia, Eastern Mediterranean and Eastern Black Sea regions, the Kırıkkale Refinery has become a facility with mid level complexity by Mediterranean standards with the addition of hydrocracker, isomerization, diesel desulphurization and CCR reformer units. Commissioned in 1955 with a crude oil processing capacity of 330 thousand tons, the Batman Refinery was the first refinery founded in Turkey. Following an initiative to overcome production bottlenecks in 1960 and the commissioning of a new crude oil processing unit in 1972, Batman Refinery’s crude oil processing capacity reached 1.1 million tons/year. The meeting dated February 21, 2019, has resolved to invite the General Assembly for its Ordinary Meeting for the year 2018, on March 20, 2019 Wednesday at 10:00 to review and resolve the agenda specified as attached at "Güney Mahallesi Petrol Caddesi No.25 Körfez/Kocaeli to duly perform the invitation procedures; to announce the invitations at Turkish Trade Registry Gazette, at the internet address of the Company of www.tupras.com.tr, at the Central Registry Agency A.Ş. 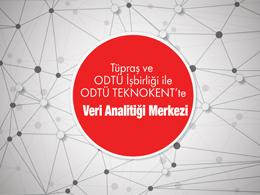 's E-Company Portal and Electronic General Assembly Systems and at the Public Disclosure Platform.